The installation of metal siding on your home in Bernalillo, New Mexico, or a surrounding area, is the best decision you can make for your residence. Thankfully, ABC Seamless of Albuquerque is in the area and provides this high-quality cladding product. We custom fabricate our seamless siding on-site to ensure it flows smoothly from side-to-side of your home. This is important because without the seams you never have to worry about cracks, leaks, or breaks. 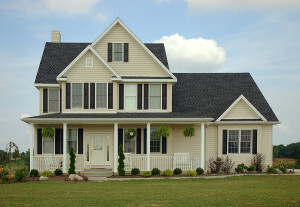 And, a seamless siding is more visually appealing than any other material due to the lack of wrinkles and seams that are topically found at the point where pre-cut gutters are attached. To enhance the visual appeal of our metal siding, ABC Seamless of Albuquerque offers our cladding materials in a wide variety of colors, textures, and styles so that we can find a match that perfectly complements the existing exterior of your house. To learn more about the metal siding we fabricate and install for homeowners in Bernalillo, NM, and the surrounding areas, contact ABC Seamless of Albuquerque today. When you do, make sure to ask about the financing options available to qualifying homeowners.